Don't just take our word for it. Hear what some of the experienced voices in the baking industry are saying about the Dutchland Classic line of fine pastries. 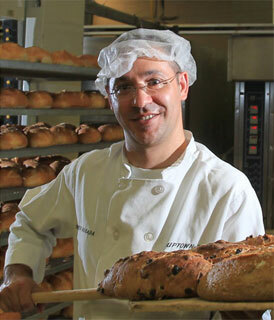 Founded in 1990, Uptown Bakers is the finest specialty wholesale bakery in the Mid-Atlantic region. From their 40,000 square foot facility just outside our nation's capital, they service over 500 restaurants, hotels, and caterers - from Delaware to Richmond, VA. Under the direction of Master Baker and VP of Operations Didier Rosada, Uptown Bakers produces over 40 different varieties of dough every day resulting in hundreds of artisan breads and pastries. Award-Winning Rosada is known for training and leading the Bread Bakers Guild Team USA to victory multiple times at the 'Coupe du Monde de la Boulangerie' in Paris, the Olympics of the baking world. 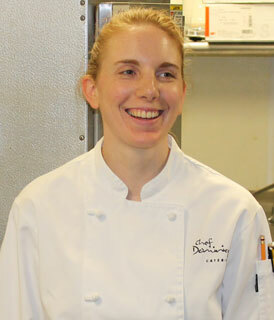 Rosada has this to say about the Dutchland Classic Puff Pastry dough: "I like a lot the flavor and flakiness. The product is consistent batch after batch. The flavor and texture is like the products they had in France." I have been using the Dutchland Classic All-Butter Puff Pastry Dough since 2008 and during this time I have not had any problems with consistency. The finished product is always flakey, tender, and bakes up golden brown every time. The dough has a rich buttery flavor and maintains a good shelf life. I use this dough for many applications from Napoleons to turnovers, and Cream Horns. I have never had quality issues with this product. I would highly recommend this product to anyone who uses pre-made Puff Pastry Dough. "Fantastic Product! 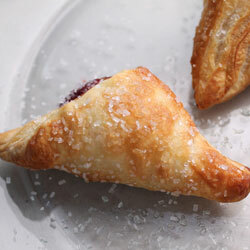 I use Dutchland Classic All-Butter Puff Pastry Dough for breakfast items, appetizers, main entrees, and desserts. Each and every time it bakes up flaky, buttery, and absolutely delicious. The product is easy to work with and I am very satisfied. 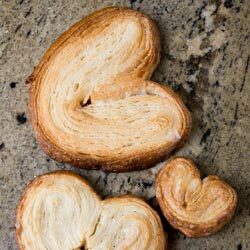 I highly recommend this puff pastry." 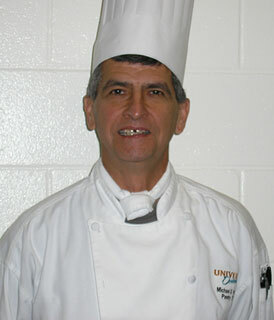 With 28 years in the food service industry, including 19 years of catering, Chef Dominique’s eclectic background enables his catering business to create original, diverse menus featuring only the highest quality ingredients, giving Chef Dominique’s Catering the culinary reputation that sets them apart from their competitors.